Workers can finally take paid sick days in Massachusetts and a handful of cities around the nation. Voters approved ballot measures Tuesday which gives workers paid sick days to recover from illness or take care of a sick child or parent. Businesses with at least 11 employees in Massachusetts now have to grant up to 40 hours of paid sick time per year. The measure also bars employers from punishing workers for taking sick time. 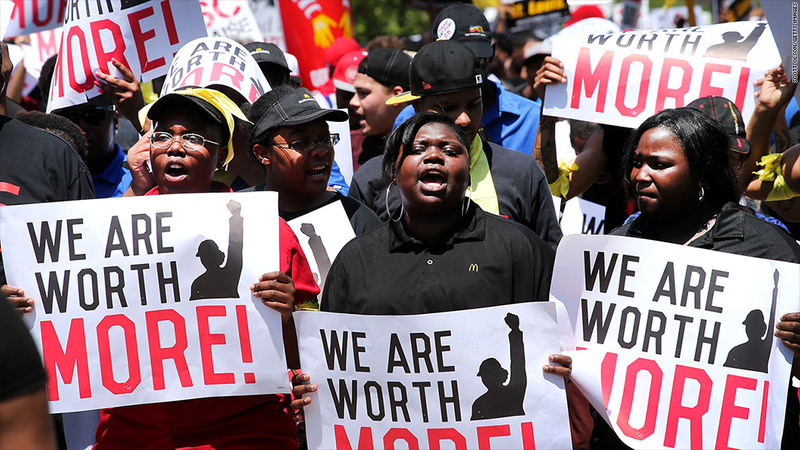 It's a huge victory for low-wage workers. Two thirds of workers at the bottom 25% of the pay scale -- the country's lowest earners -- do not receive paid time off for illness, according to the Labor Department. Three quarters of part time employees are not paid when they miss work due to illness. Worse, some lose their jobs. In Massachusetts alone, the new law will benefit nearly 1 million workers who couldn't take sick time, according to a statement from Yes on Question 4, an advocacy group that campaigned for sick days in the state. In New Jersey, voters in Trenton and Montclair also backed a similar plan. A similar measure also passed in Oakland, Calif. The gains come on the heels of a string of wins this year for advocates of paid sick days. There are now three states and 16 cities that have laws mandating paid sick days, up from one state and six cities in 2013, said Ellen Bravo, director of Family Values @ Work, a grassroots group that campaigns for the issue. In April, New York City started requiring businesses with more than 15 employees to offer paid sick leave to workers. Similar policies are in place in Connecticut as well as San Francisco, Seattle, Jersey City, N.J., and Washington, D.C.
"The impetus for these bills is that no one should be punished for taking care of child or a parent or following doctors' orders," said Bravo. "No one should be forced to work sick or lose pay for being sick." Advocates say that paid sick days also prevent workers from spreading contagious diseases. The biggest critics of mandated sick leave policies are employers in the restaurant and retail industries. They argue that such laws encourage absenteeism and hurt business. A 2012 study by the National Federation of Independent Business, which represents small businesses, suggested that the law in Massachusetts could result in $8.4 billion in economic losses to their businesses over five years. Efforts by the group and the National Restaurant Association have led 10 states to pass bans preventing cities from approving paid sick leave. The law in Massachusetts does grant employers some protections. Employers are allowed to require "certification," such as a note from a doctor, from employees who use sick time for more than 24 hours at a time. The law says workers should also make a "good faith effort" to give managers advance notice when they need to take sick time, but employers are not allowed to prevent workers from taking sick days if they have not received certification in time.